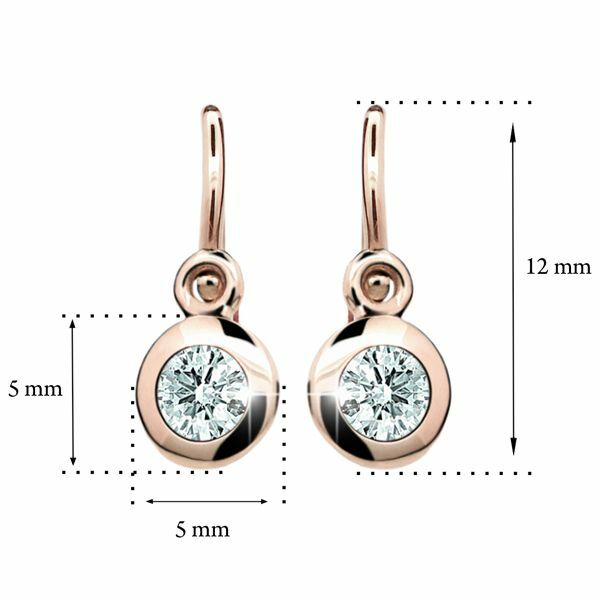 Little original baby earrings for new born, made of 14kt rose gold, set with arctic blue stones Swarovski are unique in their modern design and will add benefit to a charm of every little girl. The earring fastening front backs are the best option for babies. These earrings are packaged in a beautiful gift box in the shape of a pyramid. The earrings are a beautiful gift for christening.